Chucky is back and more annoying than ever! 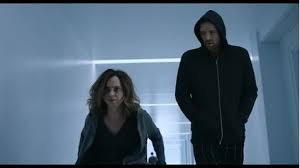 What was scary, creepy and somewhat clever for the first two or three movies, is cheesy, creepy (not in a good way), and kind of lame in this incarnation. It’s been four years since Nica was convicted of killing her family and sent to an asylum for the criminally insane. After some intense therapy, she’s realized that it was she, not Chucky, who killed her family. Because she’s made some progress, her therapist transfers her to a medium security hospital where she will have some privacy and a little more freedom. Right away though, the other patients know who she is and in their first group therapy meeting, Nica is belittled. 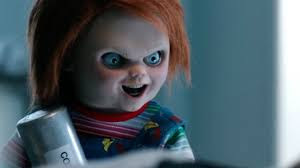 However, when her doctor introduces a “Good Guy” doll with the name of Chucky, Nica realizes that perhaps she wasn’t to blame for the murders after all. Once again, gruesome murders begin happening and Nica tries convincing the staff that it’s Chucky and not just accidents or suicide. But the doctors and nurses, of course don’t believe her. Even though she’s not allowed visitors, she receives a visit from Tiffany Valentine, the woman who was Chucky’s girlfriend/wife, and who ended up as the guardian of Nica’s niece, Alice. Tiffany visits to break the news to Nica and Alice has died, and to give her Alice’s Good Guy doll, who also happens to be named Chucky. 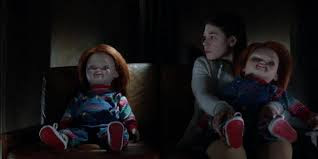 In a cabin in the middle of nowhere, Andy Barclay tries to live a normal life, but the trauma of dealing with Chucky his whole life has seeped into his life, and he has become obsessed with the head of Chucky that he has hiding in a safe in his home. He tortures it, burns and melts it, talks to it, and even shares a joint with the possessed head. When he finds out that Chucky is going after Nica, he formulates a plan and rushes to the hospital to help and save Nica. At the hospital, the Chucky dolls keep multiplying with a third doll being delivered to Nica’s doctor. With help, Chucky has figured out how to take over the hospital and kill everyone. With Nica and Andy not able to help. Chucky is able escape with Tiffany into the snowy darkness. 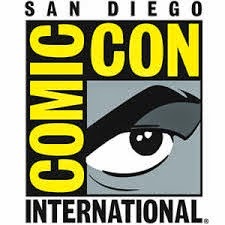 Cult of Chucky is the seventh in the Child’s Play series. Maybe it’s that I’m all grown up, but what was terrifying to me as a child – who wants to think that their dolls come to life and try to kill you? – seems cheesy now. Chucky is still an evil little doll with a stiff walk, a penchant for knives and scalpels, and a taste for killing, but after almost 30 years, enough is enough. There wasn’t much of a storyline, other than Chucky killing everyone, and the end was (of course) left open for ANOTHER sequel. Enough is enough. Let Chucky and Tiffany go on their killing spree in peace, let Andy heal from the trauma and try to lead a normal life. It’s rare that I like the special features more than the movie itself, but in this case, I did. The behind-the-scenes look and short documentary were really interesting, and I enjoyed seeing the cast and crew talk about being a family both literally and figuratively. 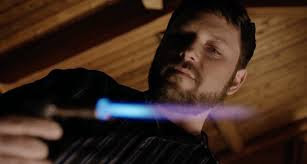 Seeing Alex Vincent reprising his role as Andy was the best part of the movie. This is his fifth portrayal of Andy, and I liked seeing the original actor continue in his role. The 1080p high definition widescreen presentation of Cult of Chucky was average. The palette was stark and crisp with a lot of white, which made the red blood pop on screen. That said, the blood looked a little too red and corn syrup-ish, though I can’t really expect it to be realistic in a movie such as this. The picture was clear and details easy to make out. Color wise, Chucky was the brightest character with his bright blue overalls and colorful shirt. I liked the contrast on the screen. Cult of Chucky’s audio was also average. The English DTS-HD Master Audio 5.1 was good enough. The dialogue was clear, intelligible, and easily heard. The volume level was even and there was no need to adjust the volume. Audio is also available in French and Spanish DTS digital surround 5.1 with subtitles in English SDH, French, and Spanish. As I said above, it’s rare that I like the special features better than the movie, but in this case, I did. The deleted scenes were a bit lacking, but the short documentary and behind-the-scenes feature were really interesting. Deleted scenes - Three deleted scenes available as play all or individually. There's even an option with the directors commentary on the deleted scenes. Inside the Insanity of Cult of Chucky (6:43) - A behind the scenes chat with cast and crew about chucky and what makes him so iconic. The Dollhouse (7:37) - A short documentary with the cast and crew about the chucky franchise. It gives some behind the scenes insight into the movies. Cult of Chucky is one sequel too many. What made Chucky so scary has become almost comical over the last 30 years, and no longer is he scary. While not a movie I would choose to watch, it’s definitely for those who have followed the series from the beginning. Perhaps the next movie (if there is one) will give the poor doll closure and let him just go back to being a “Good Guy” doll that doesn’t murder people.